Connect your device normally via USB cable. Ensure the connection is successful by typing adb devices in a command line window. In the same command line, type adb tcpip 5555 to switch ports. You’ll get the message: restarting in TCP mode port: 5555 after a few seconds. In older Android devices, hold down the WiFi icon and tap your current network. In newer Android devices, go to WiFi > Advanced, and locate the IPv4 address. 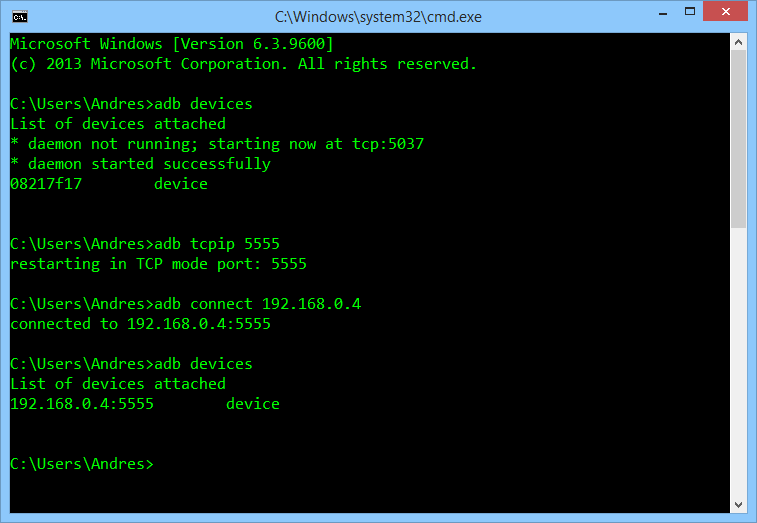 Type adb connect 192.168.0.x to connect wirelessly using the IP from your device. Type adb devices and press enter, your device should appear in the list. Below is a sample command line with the previous commands executed. The device is now connected by WiFi and you can deploy and debug your apps normally, without cables. 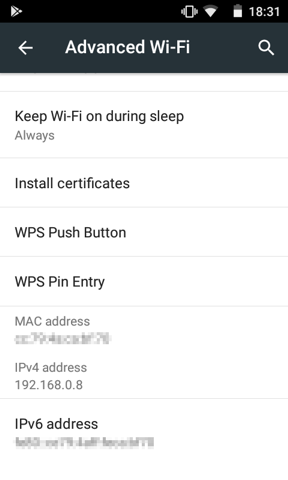 Steps to connect your Android device via WiFi. To disconnect, type adb disconnect in the command line, or restart your device. If your device does not appear in the list, or you get connection errors, restart either Windows and / or the device itself and retry the process. 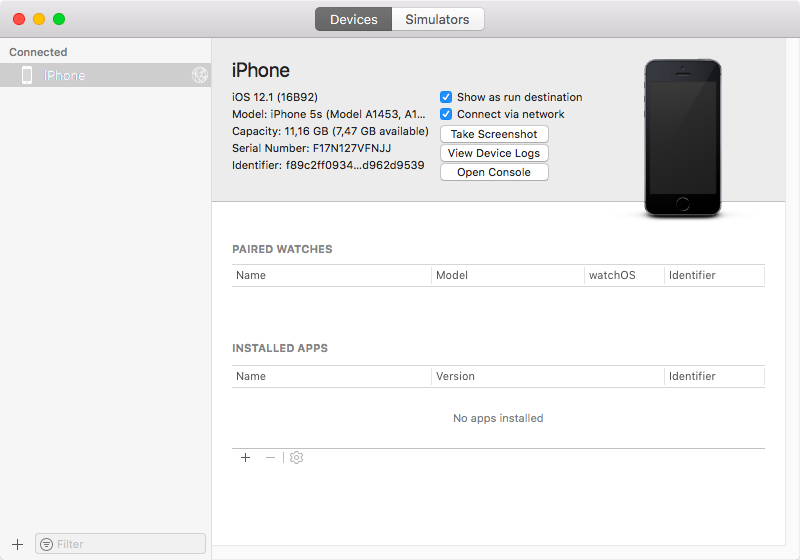 If you receive errors connecting the device via WiFi or it does not appear to be connected anymore, restart the device and Xcode. If the problem persists, try to restart your Mac as well.